This crossed arrows coyote shield represents friendship and wisdom. The crossed arrows represent friendship and coyote medicine brings wisdom. The arrows are handmade with obsidian arrowheads and tied with artificial sinew. 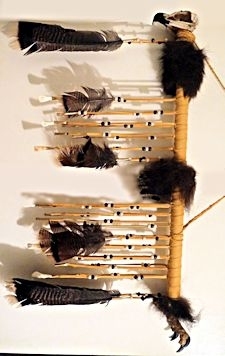 They are fletched with imitation eagle feathers. Eagle is considered to be the Messenger to the Gods, because he flies higher than any other bird. Eagle feathers are used to fan prayers to the Creator in native american ceremonies. The coyote skull (shown bleached white) is suspended with authentic buckskin leather in a circle of coyote fur that is approximately 15 inches in diameter. 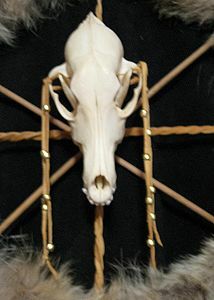 The skull is decorated with buckskin streamers and brass beads. Total width, including the crossed arrows is approximately 24 inches. The circle is covered in fur and the buckskin streamers holding the feathers are decorated with glass crow beads, imitation eagle wing feathers, and white turkey fluff feathers shown. This artifact replica is handmade in the USA. Because each one is handmade especially for you, the one shown is representative. The one you receive may vary slightly. If you have a preference for bead colors, let us know in the comment box of your check-out form. We have all the colors of crow beads sold in our craft supply section of glass beads. You can also get this shield with other kinds of feathers. Use the dropdown boxes below to choose your feather preference. This piece is available with natural leather and a bleached white coyote skull, or antiqued with a special process to make the leather and skull appear aged. Select your preference from the dropdown box below. This item can be shipped internationally. However, animal parts and feathers cannot be imported to some countries. Coyote and turkey are generally allowed, but it is your responsibility to check with your local authorities to see if they are legal to import where you live. We will not be responsible for items seized by Custom Agents or state inspectors. Feathers cannot be imported to New Zealand. If you are outside of the US, be aware that there is an additional $85.00 inspection fee to export pheasant feathers, while there is no fee for the other kinds of feathers we have available. Read the artist's profile and see more of her work. 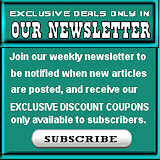 This product was added to our catalog on 06/29/2013.